Motul - I Say Ding Dong Shop - Buy Stickers, Decals & Unique Automobilia. 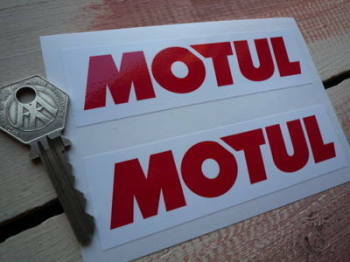 Motul Arrowed Text Stickers. 14" Pair. 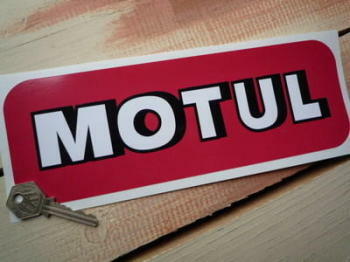 Motul Arrowed Text Stickers. 7" Pair. 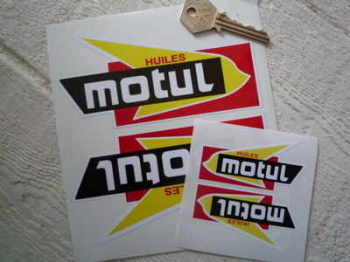 Motul Huiles Shaped Stickers. 2.75", 4", 5.5" or 8.5" Pair. Motul Later Style Plain White on Red Oblong Stickers. 4" or 6" Pair. 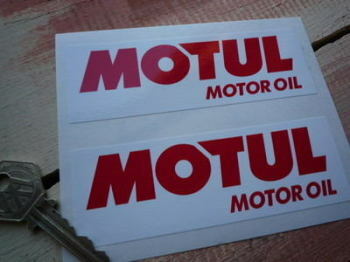 Motul Motor Oil Red On White Oblong Stickers. 5" Pair. Motul Motor Oil White On Red/Black Oblong Stickers. 5" Pair. 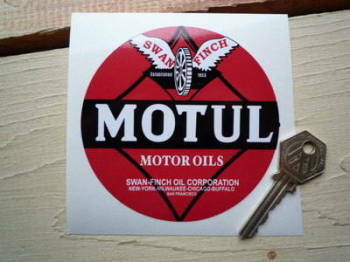 Motul Motor Oils Swan Finch Circular Sticker. 4". Motul Old Style Plain White on Red Oblong Stickers. 14" Pair. Motul Old Style Plain White on Red Oblong Stickers. 6" Pair. 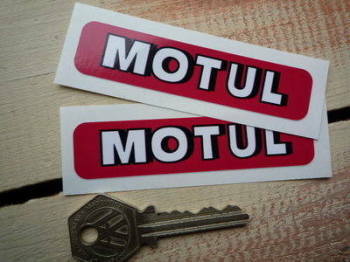 Motul Plain Red On White Oblong Stickers. 4.5" Pair. Motul Shaded Text Oblong Sticker. 10". Motul Shaded Text Oblong Stickers. 3.5" Pair. Motul Shaded Text Shaped Stickers. 14" Pair. Motul Shaded Text Shaped Stickers. 7" Pair.